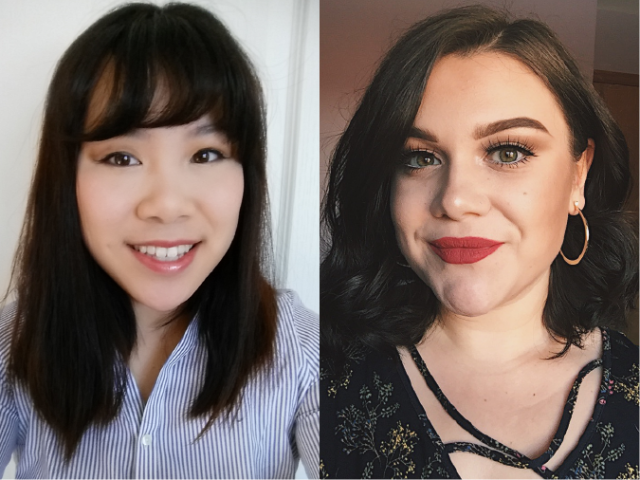 Rebecca Storey, left, and Abby Ziprick will be the valedictorians for Brandon University's Convocation on Friday, June 1 at the Healthy Living Centre. BRANDON – Nearly 600 students will receive degrees on Friday as Brandon University’s (BU’s) largest graduating class in six years takes part in the Spring 2018 Convocation. Two ceremonies at BU’s Healthy Living Centre (HLC) will confer degrees on 583 graduates. The morning ceremony will begin at 10 a.m., with students from the Faculties of Science and Health Studies receiving their degrees. During the afternoon ceremony, which begins at 2:30 p.m., students from the Faculty of Arts, Faculty of Education and School of Music will take their turn. This year’s graduating class is 12 per cent larger than last year, when degrees were conferred on 520 BU students. The last class larger than this year’s group was in 2013. Two valedictorians will speak to their graduating classmates as part of the ceremonies. Rebecca Storey, the morning valedictorian, was raised in Brandon and has completed a three-year Bachelor of Science degree with a major in Mathematics and a minor in French. She plans to continue her studies at BU in the Faculty of Education with the goal of becoming a French immersion teacher. Afternoon valedictorian Abby Ziprick will receive a Bachelor of Music/Bachelor of Education concurrent degree on Friday and hopes to return to her home city of Winnipeg to teach music or drama. “One of the great things about working at Brandon University is how well we get to know the students during their time here,” said Katie Gross, BU’s Dean of Students. The afternoon ceremony will include the conferral of an honorary Doctor of Literature degree on Dr. Linda Hutcheon, in recognition of her exceptional career as a writer, a critic and an educator. Several other honours will be presented during the day, including Brandon University Senate and Alumni Association awards that will recognize outstanding teaching and research at BU, Lifetime Achievement Awards, and the Distinguished Teacher Awards that are presented annually to teachers from elementary and high school programs. For those who aren’t able to attend the ceremonies, a livestream will be available at BrandonU.ca/Convocation. 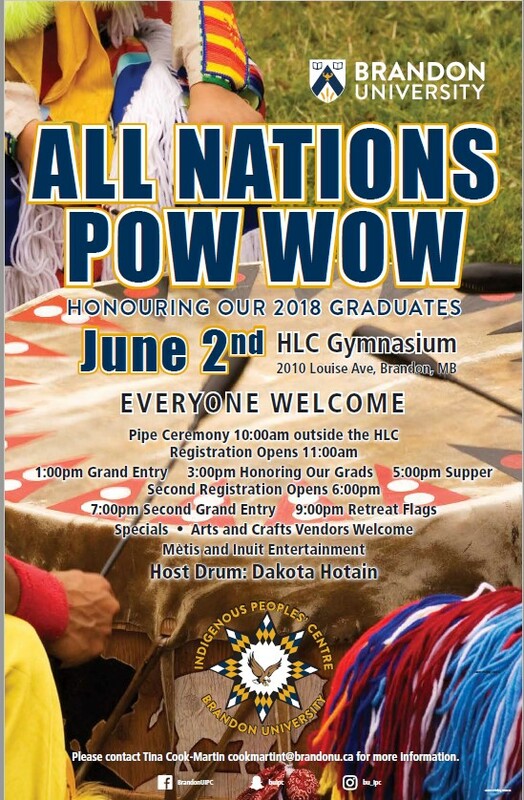 The celebration will continue the day after Convocation with the All Nations Pow Wow taking place on Saturday at the HLC. The Pow Wow will begin with a pipe ceremony at 10 a.m. outside the HLC. The event will include grand entries at 1 p.m. and 7 p.m. as well as a ceremony to honour graduates at 3 p.m. More details are available at Events.BrandonU.ca.